1. I presume providers can apply for one up to what maximum of ‘lots’ (specialisms/ skills workshops) or are you looking for one provider to deliver the whole remit? We are looking for specialist providers in their field/sector for each lot – we don’t expect any one provider to have the specialist knowledge and skills to deliver the whole programme. This tender is suitable for SME’s to compete for individual lots. 2. Digital Marketing – can you please explain the topics within this – is this simply social media or web also? How will this be defined in the workshop lots please? We are looking for providers to scope the content/agenda based on their experience and as they see best fit the typical Business Ready client base. For example, specialists in their field will be able to define the most appropriate current content. During delivery we expect facilitators to always contextualise to the workshop attendees. 3. Growth Hacking and Digital Development – as above can you please explain the segments included/ vision? We are looking for providers to scope the content/agenda based on their experience as they see best fits the typical Business Ready client base. For example, specialists in their field will be able to define the most appropriate current content. During delivery we expect facilitators to always contextualise to the workshop attendees. This will be driven by client demand for each workshop. We have received interest in all topics, but the content will help the client to decide. We expect to deliver 4-6 half days sessions per month, but again this will be driven by client demand. We will recruit specialist workshop facilitators to the panel then arrange dates and workshops according to the demand we receive from the client base. We expect our Growth Advisers and Mentors to encourage clients to participate in the programmes and take advantage to expand their skills and knowledge through participating in the programme of workshops. There will be no guaranteed minimum number of delivery sessions. It is anticipated that some topics will be presented on more occasions than others, again subject to demand. 5. What level of content are you looking for across the workshops – informative action plans or overview levels? We are looking for attendees to take away personalised action plans or to undertake activity within the workshop which will support their business growth. The ability to rely on the deliverer to both judge and manage this is considered a key criteria. 6. What is the budget per workshop/ or per topic? This is detailed in the tender document. A maximum of £600 (+vat if applicable) per 3 hour session. Tenders will be assessed on value for money as detailed in the tender. If you feel the content is best delivered as part of 6 hours of delivery (a full day when non-delivery time for refreshment breaks is included), then you may tender for up to £1200 (+vat if applicable). 7. Can we suggest alternative topics that we feel are relevant to helping the tech based client base to grow? We don’t want bidders to be constrained by the titles used in the tender document. It’s important that bidders use their expertise and knowledge to convey what they consider are “hot topics” worthy of including in any programme, so the clients are kept abreast of current issues and challenges. We would like bidders to be creative and inspiring in their delivery. However, if the title appears in the list there has already been some interest. 8. We have clients that would be suitable for your business support programme and workshops. How can we refer them to you? 9. Are we expected to provide workshop participants for the programme? The Business Ready team will deal with workshop bookings but are happy to receive referrals for potential suitable participants. 10. Can I deliver workshops in a self-employed capacity? Yes, subject to criteria detailed in the tender document. 11. How quick can we expect payment for the delivery of workshops? Subject to invoices being submitted by the due date, we would expect payment to be made in the following month. 12. I am delivering workshops for another business support programme, does that rule me out from applying? We ask you to declare any potential conflict of interest and there must be clear delineation in content and delivery. 13. I can’t get references from past clients, is this a problem? Weighted assessments in the tender consider the provision and quality of references, along with a proven track record of delivery in the marketplace. Your response will be marked down without appropriate evidence. 14. I am concerned about the IP rights transferring to UWSP. What does this really mean? As in other delivery contracts with UWSP and the University, ownership of rights transfers to UWSP for the duration of the Business Ready programme. In practice this does not mean that UWSP would wish to copy your content and we would not risk our reputation or our delivery contracts by doing so. We are purchasing a combination of content and delivery as we want to engage specialists in the field to scope the content and undertake the delivery. 15. I wish to propose a topic which isn’t generally available elsewhere but I think is really important to businesses. Can I propose it? As detailed in the tender we are looking for topics that are important to the client base and the clients recognise the importance. The request for the tender is for you to propose the marketing overview and course outline for the workshop is to help to gauge client interest, and if subsequently accepted on to the panel to market the workshop to interested parties in the client base. 16. What is the profile of the typical company and attendees for the course? The client base range from 1 person very early stage businesses, and up to around 60 people in an established business. Attendees could be a new entrepreneur who needs to know more about a specific topic as they are currently doing everything within the business, to a dedicated manager in the business who may have limited or no knowledge of another aspect of business management (e.g. a finance manager who needs to take on recruitment of staff or a product designer who needs to understand marketing of a new product). There could be a very broad combination of attendees. To assist the clients they will be guided towards the workshop that best meets their needs. If a workshop doesn’t quite meet a larger clients’ needs, then we would work with our providers to consider a refined single client workshop. 17. How many clients are currently on the programme and how many do you envisage being on the programme (on average) until October 2018? There are currently 55 businesses engaged in the programme, and we expect around 100 to be engaged by Dec 18. 18. Could an online assessment tool, identifying specific needs prior a workshop, be factored into the workshop time (charged for)? The broad business training needs have been identified by the Business Growth Adviser working with the clients. If you choose to include an assessment tool into your workshop the cost of the assessment will need to be included in the maximum fee for the session. 19. There is no mention of several important topics relevant to the client profile. Did the workshop topics come from the clients or other sources? The broad business training needs have been identified by Business Growth Advisers working with existing clients. Also, see 7 and 15 above. 20. To maximise the value to the clients, some seemingly disparate topics, probably delivered by different organisations, would ideally be linked (for example sales to finance). Is there a mechanism to achieve this? 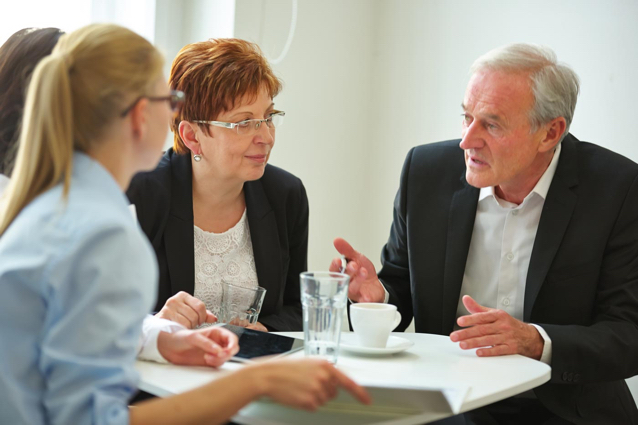 Yes, the Business Growth Advisers and mentors review progress with clients on a regular basis. 21. Does ‘ Flexibility/resilience in delivery’ apply to the delivery of the presenter or the organisational business resilience? Both. The facilitator must be able to handle challenging questions and situations within the workshop but equally we need to be comfortable that the organisation can provide multiple or backup presenters for each workshop.